Last week George Osborne revealed the details of his 2016 Budget, at the centre of which was a major deterioration of the forecast for productivity growth. Last year, the Office for Budget Responsibility (OBR) projected an average growth in productivity per hour of 1.9% between 2015-16 and 2020-21; that average is now 1.7%. As a result, a further £3.5 billion of savings from public spending is to be found in 2019/20. While Osborne has suggested these savings are equivalent to 50p in every £100 the government spends, experts have warned that the figure is closer to £2 or £3 for services that haven’t been protected. Despite no direct cuts for local government, it remains unclear where these savings will come from. And with ring fencing of much public spending, local government may yet again bear the brunt of these cuts one way or another. Concerns have been raised over the announcement to extend business rate relief, the revenue from which is 50% retained by councils. It was revealed that this will remove £7 billion from the total take in England over the next five years; 600,000 small businesses will pay no rates at all from next year. While good news for small businesses, there are fears it could leave a huge hole in local government finances as all locally raised business rates are to be fully devolved by the end of 2020. This will be accompanied by the phasing out of central government grants, and the devolution of additional spending responsibilities. But details of how such compensation will work remain unknown. The Institute for Fiscal Studies (IFS) has suggested that the government’s plans for reimbursing local government is “nigh on impossible”. According to the Joseph Rowntree Foundation (JRF), if protection for council budgets isn’t extended to beyond the devolution of business rates, councils stand to lose £1.9bn per year, or 2.9% of their total revenues. Further cuts to welfare spending could also have a knock-on effect. The Chancellor outlined controversial plans to reform Personal Independent Payments (PIP) for disabled people, to save £1.3 billion. Overall, £4.4 billion will be cut from benefits for disabled people over the course of the parliament. The cuts to PIP have been described as ‘devastating’ for disabled people, with many relying on them to live independently. They could therefore lead to increasing pressure on already stretched local services. Even the government’s own party members criticised these cuts, which have since led to the shock resignation of Iain Duncan Smith and a government U-turn on the reforms to PIP, which will now not go ahead. But there is no alternative plan to fill the hole left by this U-turn so local government may still need to brace themselves for cuts elsewhere. Under the education reforms, every state school in England is to become an academy by 2020 or have a plan in place to do so by 2022, ending the century-old role of local authorities as providers of education. But, as our recent blog has highlighted, there are ongoing concerns over the academy programme with little evidence to justify it. Ofsted rated 82% of council maintained schools as good or outstanding, while the results of recent HMI inspections of academies has been described as “worrying”. The findings also highlighted a “poor use of public money”, something that has been reiterated by the LGA. In response, the LGA noted that “councils have been forced to spend millions of pounds to cover the cost of schools becoming academies in recent years”. There was some better news for local government in the form of new devolution deals with the West of England, East Anglia, and Greater Lincolnshire. The West of England and East Anglia will each receive a £900 million investment fund over 30 years to boost economic growth, while Greater Lincolnshire’s deal is worth £450 million. New powers over the criminal justice system are also to be transferred to Greater Manchester and business rates are to be fully devolved to the Greater London Authority next year, 3 years before everyone else. The LGA welcomes these deals as recognition of the economic potential of all local areas and calls for a return to the early momentum in which similar deals were announced last year. Another positive for local government was the £700 million funding boost for flood defences by 2020-21, including projects in York, Leeds, Calder Valley, Carlisle and across Cumbria, to be funded by a 0.5% increase in the standard rate of Insurance Premium Tax. Considering the extent of recent winter flooding, this was welcomed by local government as a “step in the right direction”. However, the LGA has stated that councils will need further help from government once the full cost of recent damage emerges. It has also called for flood defence funding to be devolved to local areas so the money can be spent on where it is really needed. So despite no direct cuts for local government, and the welcome boost to local economies and flood defences, it remains to be seen whether local government will lose out financially in the longer term. Read our related blog on the total academisation of schools. It’s been another stormy weekend, with large parts of the UK experiencing damage and disruption from high winds and flooding. Storm Gertrude is the latest in a succession of storms to hit the country since December. Thousands of homes and businesses have been flooded, not only in rural areas, but in the city centres of Leeds, York and Manchester. The storms have also left stretches of Dumfries and Galloway, the Scottish Borders and Aberdeenshire under water. And in Cumbria, one especially hard hit village has been flooded four times in eight weeks. Although unprecedented, the most recent storms to hit the UK follow significant flooding events over the past decade. A report by the Met Office in 2011 suggested that this exceptional run of bad weather may be part of a trend towards more intense rainfall. The increasing prevalence of flooding in the UK has put additional pressures on local and national government. Local councils have had to make provision for those made homeless, inform householders about support, repair roads and support the emergency services. At a wider level, initiatives, such as the Scottish Government’s flood prevention action plan, and the review of flood defence investment in England are indicative of how seriously the problem is now being viewed (although one recent opinion poll indicates that more needs to be done). The human costs of flooding are incalculable, but the economic impact is significant. Research by the Environment Agency estimated that record-breaking floods in 2012 could have cost the UK economy close to £600m. In the Netherlands, where 60 per cent of the population lives below sea level, the threat from flooding has been an ever-present worry for hundreds of years. But in recent decades, the risks have appeared to be escalating. In 1953, a severe storm in the North Sea caused floodwater to inundate south-west Holland, resulting in 1800 fatalities (the same storm killed more than 300 people in the UK). 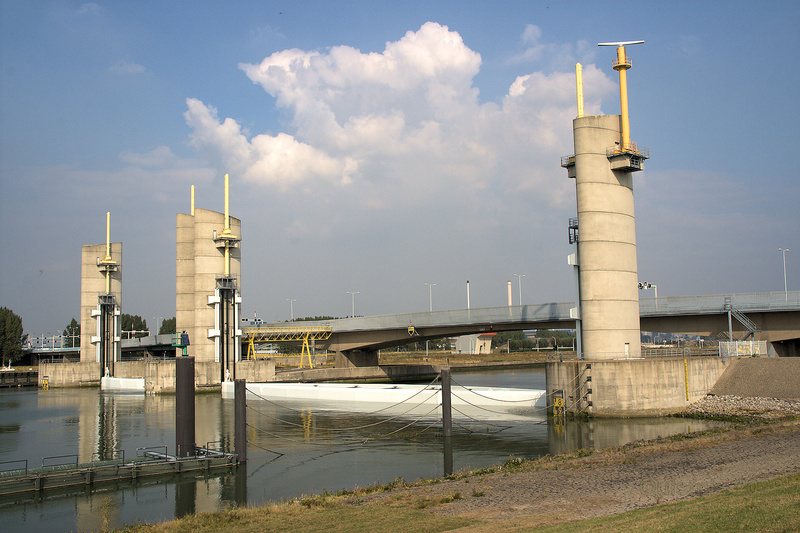 The Dutch response to the 1953 flooding was the Delta Project, a system of dams, sluices, locks, dykes, levees, and storm surge barriers, intended to prevent similar disasters striking again. This time, the Dutch responded with the Room for the River programme. The spatial development scheme not only involves the construction of higher, stronger dikes, but also the creation of wider, deeper floodplains. These give rivers additional space, reducing the chance of flooding elsewhere. The project has also involved difficult decisions, including the displacement of 200 families. But the near-catastrophes of 1993 and 1995 brought home that there was no alternative to relocation. While the Dutch government is funding the €2.3bn project, it is being delivered in collaboration with local authorities, water boards and private sector partners. As well as improving flood defences, the project has generated some impressive spin-offs. 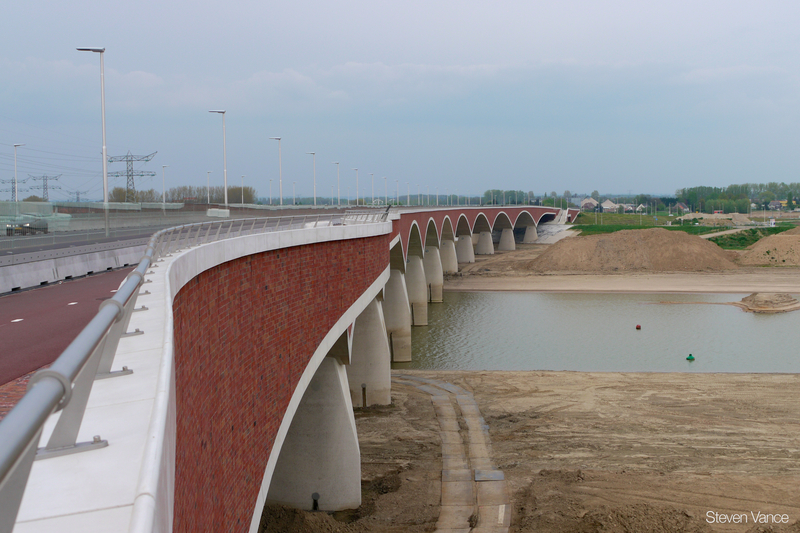 In Holland’s oldest city of Nijmegen, a completely new island has been formed from a flood control channel, providing additional land for housing and recreation. In effect, a new section of the city is being created from the river that once threatened to submerge it. At the end of 2015, as Storm Frank brought further misery to many residents across the UK, an analysis found that 10,000 homes are being built on floodplains in Britain each year. Although many of these may be protected by existing flood defences, recent flood events provide cause for concern. Hard experience has reminded the Netherlands that flooding is a natural function of rivers. Instead of fighting the elements, the Dutch are becoming experts in water management, and offering advice to other flood-prone countries, such as Bangladesh and Vietnam. Perhaps the UK can also learn from the Holland’s flood resilience know-how: it may be time to look across the water.